SAN FRANCISCO, CA--(Marketwired - Oct 29, 2015) - Mayor Edwin M. Lee today announced San Francisco's intention to become the first city to "get to zero" in the battle against HIV/AIDS. Once the epicenter of the AIDS crisis and now a world leader in HIV/AIDS response, San Francisco is well-positioned to reach zero new HIV infections, zero deaths and zero stigma. In bolstering the Citywide effort, Mayor Lee has dedicated $1.2 million to support Getting to Zero and today announced a $500,000 donation from MAC AIDS Fund, the largest corporate funder of HIV/AIDS work globally. "San Francisco is a national leader in treatment, housing and care for those living with HIV/AIDS, and we remain committed to providing hope, finding a cure, and one day bringing an end to this epidemic," said Mayor Lee. "We have the world's best health care, top scientists, compassionate policies, community advocacy and the public-private partnerships needed to make it a reality. Zero is within reach." 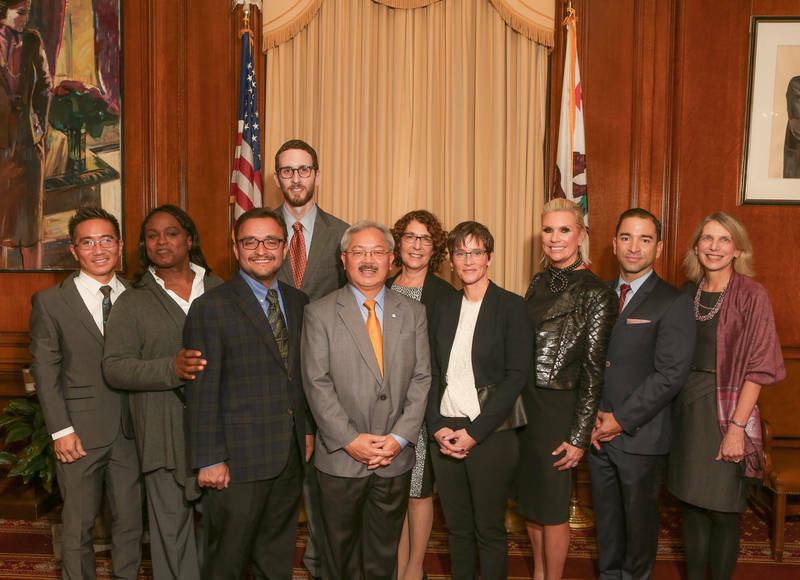 "Through the extraordinary efforts of the Getting to Zero Consortium, San Francisco is poised to become the first city to end HIV infections and HIV-related deaths," said Supervisor Scott Wiener. "Once again, we are leading the country around HIV care and prevention and public health generally. We hope other jurisdictions will follow suit." "San Francisco has done outstanding work in the fight against HIV/AIDS but the struggle is far from over," said Supervisor David Campos. "In order to Get to Zero we need to focus on the most vulnerable and underserved communities. Increasing access to critical prevention measures like PrEP is a critical part of this -- but we still have a long way to go." In the City's FY 2015-16 budget, Mayor Lee and the Board of Supervisors have dedicated $16.7 million to support HIV/AIDS prevention and $37.6 to support HIV/AIDS care for San Francisco residents. This includes significant ongoing backfilling based on Federal reductions in Ryan White and prevention funding, as well as $1.2 million annually to support the Getting to Zero initiative. San Francisco's Getting to Zero Consortium was formed in response to a community member's questions at the World AIDS Day Community Forum in December 2013. By probing about how closer collaboration between researchers, providers and the community could achieve more, this individual unknowingly launched the Getting to Zero effort. The Consortium, organized by members of the San Francisco Department of Public Health, UCSF, Project Inform, San Francisco AIDS Foundation, API Wellness Center, Latino HIV Collaborative, and El/La Para Translatinas, is not a new organization; rather the Consortium brings together existing organizations and individuals in a community-wide, integrated effort to eliminate new HIV infections and preventable deaths among people living with HIV. "We've made tremendous progress in HIV prevention and treatment, but now is not the time to let up on our efforts and declare victory," said San Francisco Director of Health Barbara Garcia. "With a little more time, effort, resources and teamwork, we can fully realize the benefits of these highly effective prevention and treatment tools and be the first city to get to zero." The Getting to Zero Consortium is focusing efforts on three core pillars to achieve its goals: pre-exposure prophylaxis (PrEP) expansion, RAPID (a program for same day linkage and treatment upon HIV diagnosis), and re-engagement and retention in care. 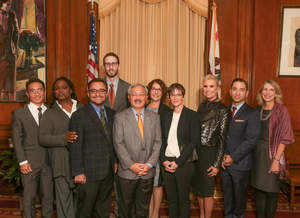 This dynamic approach will support the City's efforts to eliminate new HIV infections, prevent HIV-related deaths and eliminate HIV stigma and discrimination for all HIV-affected populations in San Francisco. "Innovations such as San Francisco becoming the first jurisdiction to offer treatment to all patients upon diagnosis in 2010, along with the City's determination to maintain funding for vital HIV/AIDS services even during lean budget years have brought us to the point where we can realistically set our 'zero' goals," said Dr. Diane Havlir, Chief of the UCSF Division of HIV, Infectious Diseases and Global Medicine at San Francisco General Hospital and Trauma Center, the first hospital to open its doors to AIDS patients in the 1980s. "Additional strategic investments, continuous innovation and the Consortium's community based collective impact approach can make San Francisco the first jurisdiction to realize UNAIDS Getting to Zero objectives." Propelling new resources into the Citywide effort, Mayor Lee dedicated $1.2 million in the current budget to support Getting to Zero with an additional $500,000 donated by the MAC AIDS Fund, which raises money exclusively through the sale of MAC VIVA GLAM lipstick and lipglass to help end the HIV/AIDS epidemic. The new funding will be leveraged to increase the number of HIV-positive patients who receive care, to expand the availability of PrEP at more clinics in the City and to expand RAPID testing programs Citywide. "New advances in treatment has made ending AIDS a realizable dream. What we now also know is that we have to end AIDS city by city and town by town. San Francisco is out front on this goal and can realistically achieve zero new infections, deaths and stigma soon," said Nancy Mahon, SVP of Global Philanthropy and Corporate Citizenship for The Estee Lauder Companies and Global Executive Director for the MAC AIDS Fund. "We look forward to joining the City of San Francisco and incredible organizations working tirelessly to achieve this goal and offer our support, which couldn't be possible without our passionate customers who through lipstick are helping save and change lives." San Francisco has made significant strides in the past several years in Getting to Zero, with a goal to reduce new HIV infections and HIV-associated deaths by 90 percent Citywide by 2020. Last year, the City achieved a record-low 302 new HIV diagnoses, compared with 2,332 new HIV/AIDS diagnoses at the peak of the epidemic in 1992. No baby has been born with HIV infection in San Francisco since 2005. The Health Department estimates that more than 93 percent of those living with HIV know they are infected, and knowledge of HIV status is the gateway to both treatment and prevention. Yet, there is more work to be done. African American gay men in San Francisco continue to have the highest rate of new diagnoses. Viral suppression is lowest in women (including transgender women), African Americans, 13-24 year olds, and people who inject drugs. Ten percent of people living with HIV in San Francisco are homeless. More than half of people living with HIV in San Francisco are over the age of 50, and HIV causes unique challenges in this population. And, although the number of HIV-associated deaths is declining, more people with HIV are dying of drug overdoses and suicides, both preventable causes of death. "We are making progress, but structural factors continue to drive disparities in HIV outcomes," said Dr. Susan Buchbinder, Director of Bridge HIV, an HIV research division based at the Health Department. "We will have failed if these breakthroughs in HIV prevention and treatment are not used to eliminate disparities. Getting to Zero must include all San Franciscans, or we won't reach our goal." "Our work is not done until the disparities among vulnerable populations living with or at risk for HIV are eliminated," said Dana Van Gorder, Executive Director of Project Inform, a San Francisco-based national nonprofit agency that assists in the development of treatments for HIV infection, provides treatment information to HIV positive individuals and advocates to meet the health care needs of low income HIV positive people. Ward 86, the HIV/AIDS primary care clinic at San Francisco General Hospital first piloted RAPID in 2013, providing same day linkage to care for every newly diagnosed HIV positive patient. RAPID is now expanding across the City. The innovative "Getting to Zero Retention and Re-Engagement" package supported by the MAC AIDS Fund is being implemented at Ward 86, Castro-Mission Health Center and the Tom Waddell Urban Health Center, primary care clinics in the Department of Health's San Francisco Health Network. Last month, the Health Department began training primary care providers, at clinics throughout the San Francisco Health Network, on PrEP delivery protocols, expanding access to a prevention strategy that may eliminate more than 90 percent of new infections, if a single pill is taken on a daily basis. The San Francisco AIDS Foundation, which provided 9,600 HIV tests last year at its Magnet Clinic, has a large PrEP program, with more than 500 clients started on PrEP, to date. "Our new health and wellness facility in the Castro features what will quickly become the City's largest PrEP clinic, dramatically expanding access for thousands of gay, bisexual and transgender men," said San Francisco AIDS Foundation Vice President of Philanthropy and Public Affairs James Loduca. "The Mayor and champions on the Board of Supervisors made this possible, just like every year they enable more than 16,000 people to access our free, local services for HIV prevention, testing and care in communities where need is greatest." San Francisco's Getting to Zero initiative is a multi-sector independent consortium operating under the principles of collective impact. Modeled after the Joint United Nations Programme on HIV and AIDS (UNAIDS), the vision for Getting to Zero is to reduce HIV transmission and HIV related deaths in San Francisco by 90 percent before 2020. For more information, go to: gettingtozerosf.org. The MAC AIDS Fund (MAF), the heart and soul of MAC Cosmetics, was established in 1994 to support men, women and children affected by HIV/AIDS globally. MAF is a pioneer in HIV/AIDS funding, providing financial support to organizations working with underserved regions and populations. Recently recognized by Funders Concerned About AIDS as the top corporate giver in the arena, MAF is committed to addressing the link between poverty and HIV/AIDS by supporting diverse organizations around the world that provide a wide range of services to people living with HIV/AIDS. To date, MAF has raised more than $380 million (U.S.) exclusively through the sale of MAC's VIVA GLAM Lipstick and Lipglass donating 100 percent of the sale price to fight HIV/AIDS. For more information, go to: macaidsfund.org.